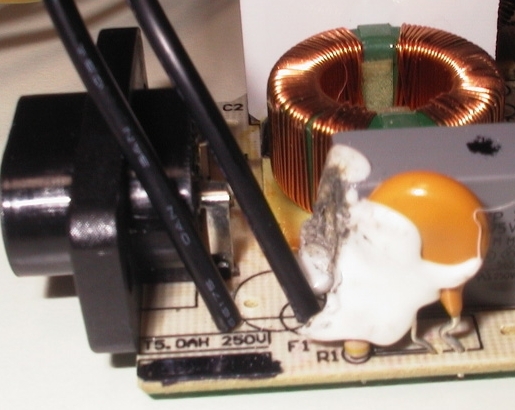 The power supply contains capacitors which hold a charge even when the power cable is unplugged use caution when working with the PSU to avoid a shock! Disconnect the PSU main power connector from the motherboard by gripping it firmly and pulling upwards, if it won't budge you may need to use a pair of pliers to help you out. If replacing the power supply reverse the process with the new PSU and your done. If you wish to replace the fuse continue to step 4. 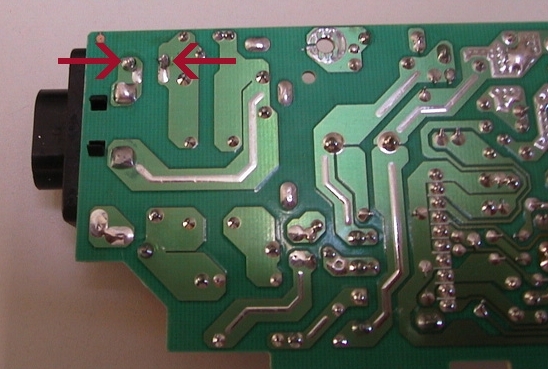 Carefully unsolder the fuse at the points indicated above. You may need to cut it away from some insulating white goop on the other side first. 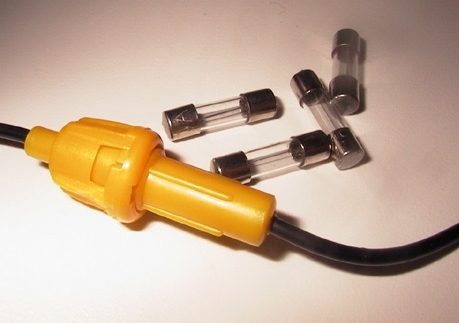 Purchase a simple fuse holder such as the one in the photo below these can obtained an almost any Automotive parts store or hobby shop. 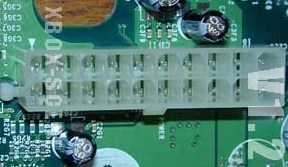 Also remember to pick up some spare 5 amp fuses that fit your fuse holder assembly. 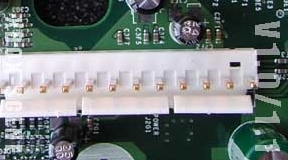 Now you simply have to solder the two ends of the fuse holder to the PSU circuit board by sticking the ends of the wire through the holes where the old fuse used to attach. the finished assembly should look like the photo below.